(From L to R) Actor Lena Headey, director Stephen Merchant and actor Nick Frost on the set of FIGHTING WITH MY FAMILY. ©Metro Goldwyn Mayer Pictures. CR: Robert Viglasky / Metro Goldwyn Mayer Pictures. 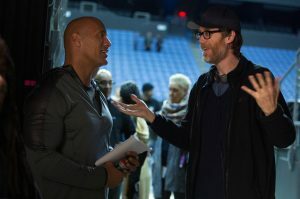 Actor Dwayne Johnson (left) and director Stephen Merchant (right) on the set of FIGHTING WITH MY FAMILY. © Metro Goldwyn Mayer Pictures. CR: Robert Viglasky / Metro Goldwyn Mayer Pictures. 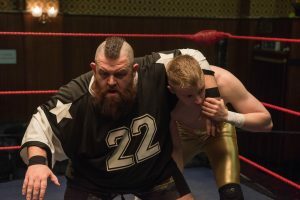 Nick Frost as Ricky Knight and Jack Lowden as Zak Knight in FIGHTING WITH MY FAMILY. Directed by Stephen Merchant. ©Metro Goldwyn Mayer Pictures. CR: Robert Viglasky / Metro Goldwyn Mayer Pictures. Florence Pugh (left) stars as Paige and Jack Lowden (right) stars as Zak Knight in FIGHTING WITH MY FAMILY. ©Metro Goldwyn Mayer Pictures. CR: Robert Viglasky / Metro Goldwyn Mayer Pictures.